With the series premier of the Arrow spin-off The Flash only weeks away, several of the upcoming guest-stars for the show have thus far been announced already. Just as one would expect, the Rogues make up a sizable chunk of the upcoming characters. In the series Arrow, we’ve thus far met Barry Allen (played by Grant Gustin of Glee fame) who already has suffered his fateful accident that leads to his becoming the Flash. Fans have also been treated to upcoming series regulars Cisco Ramon (Carlos Valdes) and Caitlin Snow (Danielle Panabaker) who, in the comics, are fated to become the hero Vibe and villainess Killer Frost, respectively. The series will open with introducing S.T.A.R. Labs’ chief scientist Harrison Wells (Tom Cavanagh), whose particle accelerator transformed Allen, and on-line journalist Iris West (Candice Patton), mentioned only by name previously as a love interest to Allen. A demonstration of the forward thinking of the show’s producers Greg Berlanti and Andrew Kreisberg, West was cast with an African-American actress to align with DC Comics’ current continuity where the character’s nephew Wally was reintroduced as being African-American (Wally later becoming the Flash’s sidekick Kid Flash in the comics), paving the road for his inclusion in the series down the line. Before moving on to those others cast, it should be noted Rogues the Trickster and Pied Piper have been mentioned but yet confirmed. The former was named in an early script used for auditions and the latter as a series regular to be cast but likely was replaced by the Caitlin Snow character (though, producers have stated a desire to add Pied Piper within the first twelve to thirteen episodes). Further, Arrow villain the Clock King (Robert Knepper) is set to make an appearance on The Flash. The character of Firestorm was described in detail previously here. Undoubtedly the supreme nemesis to the Flash, the Reverse-Flash was originally a criminal in the future who through some circumstances obtained the Flash’s costume and was able to replicate his powers upon wearing it. Becoming Professor Zoom the Reverse-Flash, the man intended to use his newfound abilities to become history’s greatest criminal. However, a time traveling Flash arrived in the future and brought Zoom to justice. Later, this origin was changed in that the man was in fact a distant relative of Barry Allen named Eobard Thawne whose ancestor Malcolm Thawne was Barry’s brother. Another alteration would be that Thawne was an obsessed fan of the Flash who duplicated Allen’s accident to gain his powers and altered his appearance in order to be his idol’s twin image. Journeying back in time in order to meet his hero, Thawne arrived after Allen’s death and learned his fate of becoming the Flash’s nemesis, causing a mental breakdown that left Thawne believing he was in fact Barry Allen. The then Flash Wally West defeated Thawne and sent him back to his time, amnesiac of the experience but with a deep hatred of Allen. 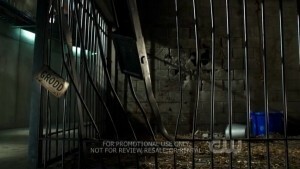 Regardless, Zoom proved to be a most dangerous adversary (especially considering he had all of the Flash’s powers and knew all of his secrets), most notably when it appeared he murdered Allen’s wife Iris West and later when he tried to kill Allen’s fiance Fiona Webb (leading to the Flash having to kill Zoom). Zoom would later be resurrected and he journeyed back in time to when Allen was a boy and killed his mother and framed his father for the crime. In The Flash, Barry Allen started investigating strange occurrences because of the trauma he suffered as a child when he witnessed a streaking man in yellow surrounded in electricity murder his mother. As for the present, Barry Allen competes for the affections of Iris West with a detective by the name of “Pretty Boy” Eddie Thawne (Rick Gosnett). However, this is likely a misdirect especially considering the producers past with Arrow where fans expected Oliver Queen’s best friend Tommy Merlyn to become Merlyn the Archer and ex-girlfriend Laurel Lance to become the Black Canary. Instead, Tommy’s father ended up being the Dark Archer and Laurel’s sister Sara became the Canary (though signs point to Laurel possibly assuming this role later). 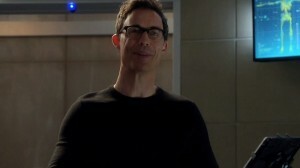 Perhaps a more likely candidate could be Harrison Wells. 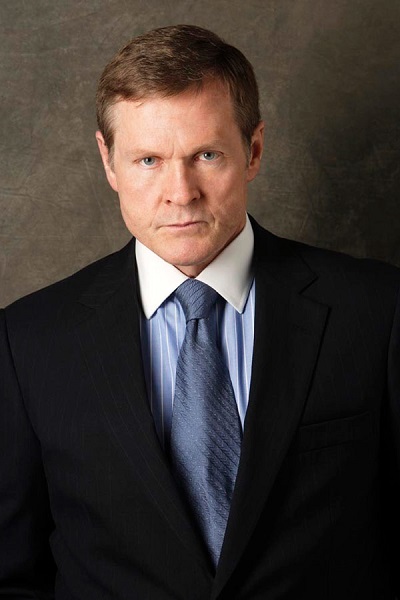 Wheelchair-bound and a chief confidant of Allen, Wells is reminiscent of the character Hunter Zolomon who was a profiler for the FBI hobbled by a costumed criminal named the Clown and later made a paraplegic by Gorilla Grodd. He begged the Flash to go back in time and alter the past to stop Grodd but the hero refused citing possible damage to the time stream. Angered, Zolomon tried to use a time machine to do it himself only for the apparatus to blow up and grant not only the use of his legs again, but the power to alter time. Feeling the Flash needed to suffer a tragedy to make him a better hero, Zolomon became the villainous Zoom (adopting a variation of the Reverse-Flash’s costume) and murdered the hero’s unborn twins. The producers of Arrow also have something of a history merging elements of characters, like Brother Blood bearing similarities to Steel Claw and the Canary to Onyx, as Wells also has some qualities similar to Speed McGee/Speed Demon. Jerry McGee was a scientist for the company Genetech that developed a chemical called Steroid B-19 which granted super speed, strength, and stamina. Testing it on himself, he became dependent upon it leading to his wife Tina leaving him and moving in with the then Flash Wally West. Donning a yellow and purple skintight suit, Jerry became Speed McGee in order to stalk his wife (Tina would become a series regular on the original Flash TV show where its been announced the character will return to the current series played by the same actress in Amanda Pays). Mark Mardon was a criminal on his way to prison that managed to escape his guards and fled to his brother Clyde’s house. Therein, Clyde discovered a means to control weather which he managed to contain within a wand only to then die of a heart attack (retroactively, it was stated Mark killed him). Mark, armed with the wand, became the Weather Wizard and sought revenge against the men who brought him to justice. The Flash, however, stopped him and the Weather Wizard became a reoccurring enemy of the hero joining the infamous villain group the Rogues. Historically, Weather Wizard was the first Flash villain adapted for live action appearing in the two-part special Legends of the Superheroes. Further, Miguel Ferrer would portray the Weatherman in the ill-fated TV movie/pilot Justice League of America (Ferrer would go on to voice the Weather Wizard in Superman: The Animated Series later that same year). 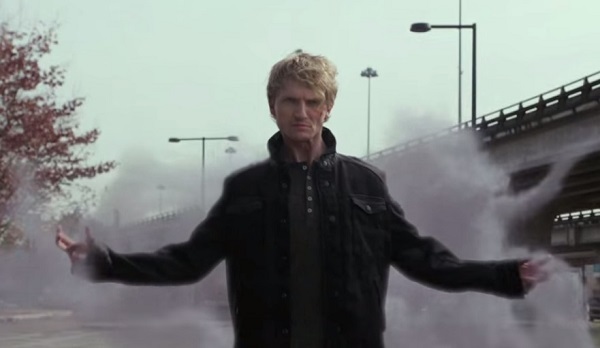 In The Flash series premier, the hero must face his first supervillain in Clyde Mardon (Chad Rook), one half of the thief duo the Mardon Brothers, who gains the power to control the weather and becomes the Weather Wizard. Ruthless businessman, brilliant scientist, and exceptionally wealthy, Simon Stagg was someone who had a dire need to possess things, perhaps nothing more so than his gorgeous daughter Sapphire. When she fell in love with an adventurer named Rex Mason in Stagg’s employ, the father arranged for Mason’s death while sending him to secure the ancient Egyptian artifact the Orb of Ra. However, bathed in the rays emitted by the Orb, Mason was transformed into the powerful and grotesque Metamorpho, the Element Man. When Mason tried to seek his revenge on Stagg, the Orb kept him at bay. An arrangement was reached such that Metamorpho would use his powers to help others while Stagg sought to find a cure to his affliction putting Sapphire in the middle of their conflict. Despite his appearance, Sapphire still loved Mason and this left Simon to concoct scheme after scheme to try and separate the two for good. In The Flash, chances are that the prominence of Firestorm, the Nuclear Man who has some similarities in a way to Metamorpho (Firestorm can change elements, Metamorpho can turn into any element) could mean Firestorm maybe used to supplant Metamorpho. Simon Stagg will be portrayed by William Sadler. Assistant to Martin Stein in the development of the Hudson Nuclear Power Plant, Dr. Danton Black tried to steal Stein’s plans for the facility only to be caught by his boss. Black was fired but not turned in to the police which the nefarious scientist used against Stein by going to the authorities claiming he designed the plant and Stein cut him out just prior to the facility being activated. Out of fear of the plant being decommissioned before being activated, Stein turned the plant on ahead of schedule. Unbeknownst to Stein, eco-terrorists placed a bomb in the facility which upon detonation along with the plant’s activation transformed Stein (and one of the youths who accompanied the terrorists in Ronnie Raymond) into the hero Firestorm, the Nuclear Man. Also caught in the blast was Black who returned to try and incriminate Stein turning instead into Firestorm’s first super-powered foe Multiplex who could create copies of himself he called duploids, in essence a one man army. 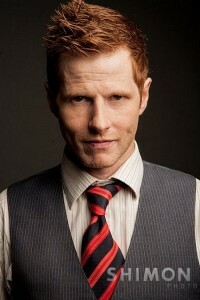 In The Flash, Multiplex will be played by Michael Smith. Likely due to his prominence in the series Challenge of the Super Friends, Captain Cold is arguably the most recognized member of the Flash’s rogues gallery. In fact, when the 1990 Flash TV series was produced, Cold was one of only a handful of rogues adapted for the series alongside the likes of Mirror Master (played by David Cassidy whose daughter Katie went on to play Laurel Lance in Arrow) and a Joker-inspired Trickster (a role which helped actor Mark Hamill secure the part of the Joker in Batman: The Animated Series and a multitude of subsequent projects). In the comics, Cold was Len Snart, a man with little going his way that read in a newspaper that it was theorized a cyclotron could possibly stop the Flash. Believing if he could stop the Flash he could get whatever he wanted, Snart broke into a laboratory and by chance stumbles upon creating an ice ray gun. Taking the name Captain Cold and donning a visor and fur-lined parka, Snart fought and failed to best the Flash. Going on to join the Rogues, Cold would later be re-imagined as a brilliant strategist and indomitable leader to the Rogues turning what was already a highly dangerous crew of individuals into the premier supervillain team in the country. 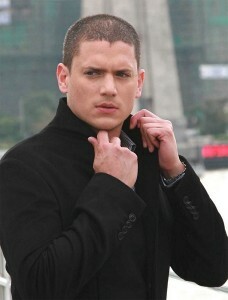 In The Flash, Captain Cold was cast with Wentworth Miller. A French Canadian terrorist, Bette Sans Souci attempted to suicide bomb a prominent New York newspaper only to be stopped and humiliated by Firestorm who decided to destroy her clothes, leaving her naked for the authorities to pick up. Imprisoned, Souci’s lawyer secured for her an experimental serum that gave her the power to project explosive power from her fingers as she took the name Plastique. Escaping alongside Killer Frost, Firestorm’s nemesis, the duo tried to cause more mayhem only to be stopped by Firestorm and his partner Firehawk. She would go on to become a foe of Captain Atom before the two eventually became a couple, Plastique reforming, being pardoned, and acted as a superhero aligned with Atom’s unsanctioned Justice League cell. The pair would marry only to later divorce and Plastique returned to her villainous ways. The character would be adapted for live action in 2008 for the television series Smallville. For The Flash, Plastique was a bomb disposal expert who gained the ability to turn anything she touched into an explosive and is sought by the United States to be used as a weapon. Unwilling, she goes on the run and crosses paths with the Flash. The character shares some similarities with Peek-a-Boo, a Flash character that can teleport (but in doing so leaves behind explosions) that tries to steal a kidney for her dying father and is almost forced to become a villain after being caught, and Human Bomb, a hero where everything he touched turned into a bomb. 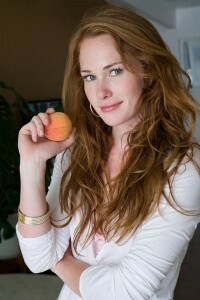 Plastique will be portrayed by Kelly Frye. A more recent addition to Flash’s rogues gallery, Girder was Tony Woodward, a steelworker who assaulted a female coworker and was dunked into a vat of molten steel by a mob angered by his actions. Therein, metal experimented upon by S.T.A.R. Labs was included and Woodward emerged as the metal behemoth Girder. Super strong and durable, the steel began to rust immediately upon contact with the air giving him a dark orange sheen. Trying to use his newfound abilities as a supervillain, Flash brought him to justice only for the villain to later join a new iteration of the Rogues. 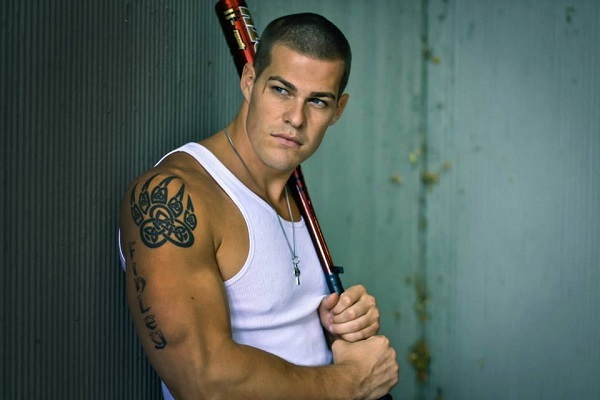 Girder will be played by Greg Finley. 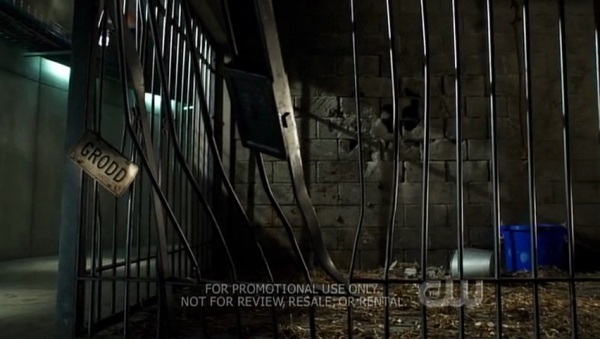 When Captain Cold escaped prison and tried to perform a robbery, the Flash appeared and quickly took him down. Only, a new foe going by the name Heat Wave appeared attacking Flash and helped Cold flee. Back at Cold’s hideout, Heat Wave revealed he was a fire-eater that wanted to get into the supervillain game (wielding a pistol-sized flamethrower) and proposed a partnership to take out the Flash and turn the city into their personal piggy bank. It appeared a new dangerous alliance was formed until the duo realized they both pined for the same television celebrity which led to a brawl that attracted the attention of the Flash. While the pair turned their attention to the Scarlet Speedster, it wouldn’t help them as both were defeated. Subsequently, despite an adversarial relationship, they became steadfast allies. At one point, it appeared Heat Wave became a superhero only to later learn he was brainwashed by the Top (who himself was manipulated into becoming a hero). Heat Wave has been cast with Dominic Purcell (who, interestingly enough, played the brother of Wentworth Miller’s character in the series Prison Break, which also starred Robert Knepper who will reprise his character of the Clock King on The Flash and Peter Stormare who will be the new Count Vertigo on Arrow). In his premier episode, Heat Wave is set to team with Captain Cold. An Australian petty crook, “Digger” Harkness learned of the Wiggins Game company’s search for a mascot to market boomerangs to children and applied for the job in order to jump start a career as a supervillain named Captain Boomerang. Using trick boomerangs (in a similar fashion to how Green Arrow used trick arrows), Harkness would be stopped by the Flash and went on to help found the Rogues. The Captain would also garner some notoriety as a member of the government sanctioned Suicide Squad program working alongside other villains and government operatives in special operations with a low likelihood of survival in return for clemency (or an outright pardon). 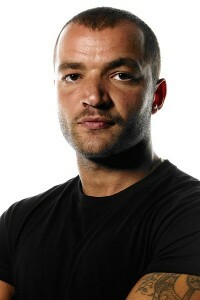 Interestingly enough, as The Flash is largely focusing on super-powered foes, Captain Boomerang (featuring Nick Tarabay as the character) is set to emerge on Arrow as a former agent of A.R.G.U.S. just as the Flash crosses over into the series. Hidden from the world outside, Gorilla City is buried deep in the heart of Africa where a race of highly-evolved gorillas live. Advancing at a much higher rate than humanity, its apes developed technology making them absolutely invisible to outsiders as a culture of peace and prosperity arose. However, one among their ranks in Grodd was born with a desire to rule, a wish to dominate the will of his fellow gorillas and then to conquer the Earth. Solovar, who discovered the power to control the minds of others, was captured by humans and brought to America as a simple gorilla in a zoo. Grodd sought Solovar and used his mental powers to extract the secrets of mind control from his fellow ape, returning to Gorilla City and turning its denizens into a mighty army. 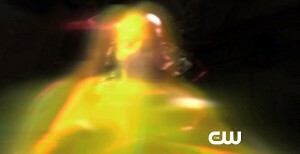 It was through the intervention of the Flash and Solovar that defeated Grodd. While the malevolent super-gorilla would return repeatedly to try and rule Gorilla City, Grodd would also try to seek revenge on the Flash notably by forming the Rogues. While the Flash’s enemies enjoyed something of a loose fraternity among themselves, Grodd arranged their escape from prison and formed a formal organization to defeat the Flash founded with Captain Cold, Mirror Master, Top, Heat Wave, Captain Boomerang, and Pied Piper. The group would expand to incorporate the Trickster, Weather Wizard, Mr. Element/Dr. Alchemy, Abra Kadabra, Reverse-Flash, and Golden Glider before eventually becoming something of an expansive union of most of the Flash’s enemies. Thus far, Grodd has only been hinted at in an Easter egg in the pilot that executive producer Geoff Johns said was a sign of his future inclusion. 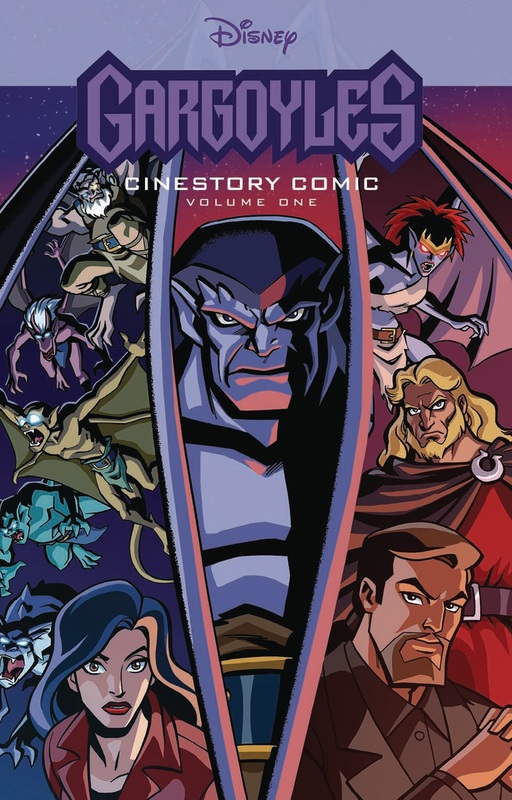 #WeLiveAgain: The Return of Gargoyles? Toonami’s Back… But Will it Last?